PUBLIC EVENTS — Beetle Juice | The original VW cocktail bar - we bring the party to you! 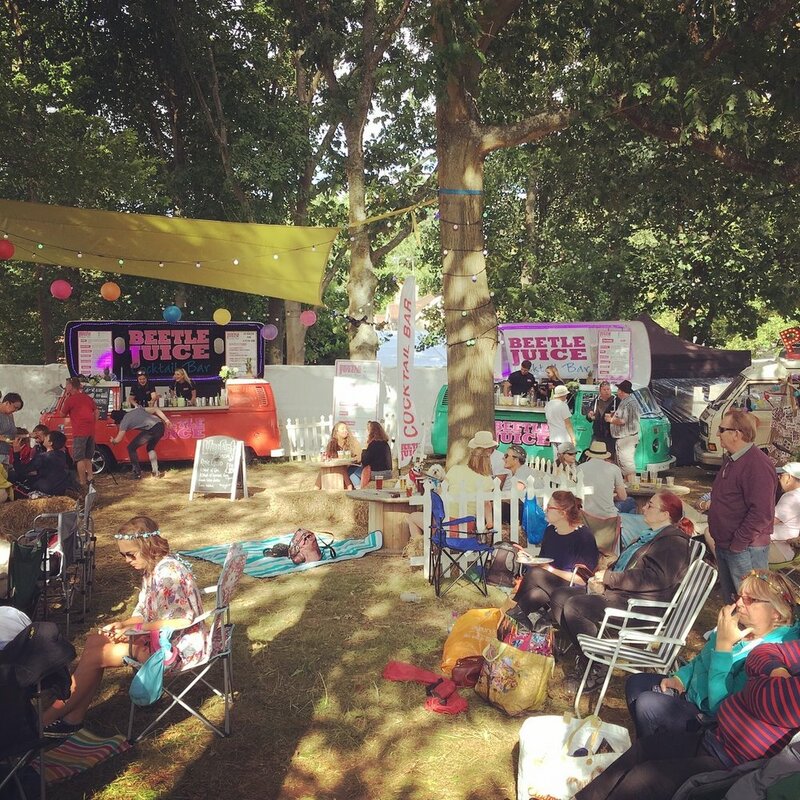 We operate at a wide variety of Public Events including sporting events, fayres and fetes, club events, equestrian events, music festivals, food festivals, etc. We make fresh drinks from high quality ingredients and sell at very reasonable price points. This is reflected in the consistent excellent feedback we have on our social media pages. Typically we find that most events do not cater well for fresh, quality drinks and organisers are missing out on a potential lucrative additional income stream. 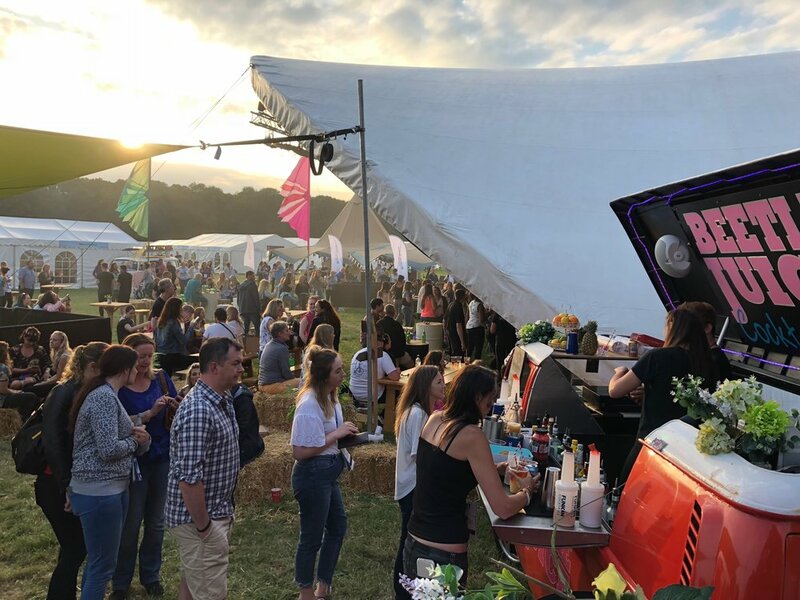 Most large events are geared up for volume beer and wine sales where there are some excellent suppliers but cocktails and healthy fresh juice drinks, if even offered, are either very expensive, poorly delivered or both. We have a huge amount of evidence that our cocktail sales have little or no effect on beer and wine sales at events but are a genuine new source of revenue. If the Event organiser is able to generate a large enough audience for us to serve then we have a number of models of sharing the profits from our activities at their events. 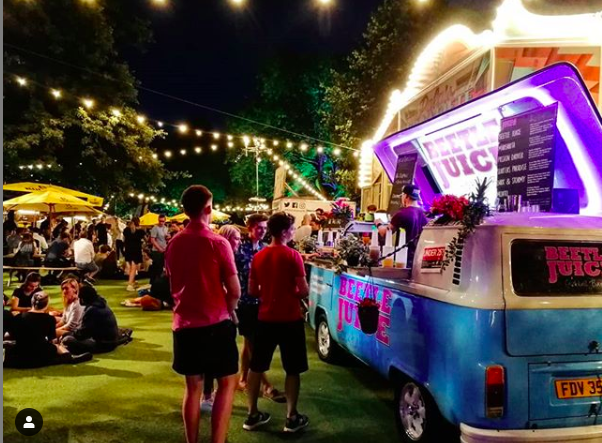 For organisers who already operate their own bars and wish to take all the risk and reward from the event sales we can provide a dry hire option. Our brand is extremely important to us and we are very protective about ensuring that whatever is sold from a Beetle Juice bar meets our quality and value standards. If the organiser has already got a competent bar operator or access to the right calibre of bar staff then they can operate the Beetle Juice bar themselves subject to agreeing the menu and training, otherwise we will provide appropriate staff at an hourly rate. This is our most popular model with event organisers. 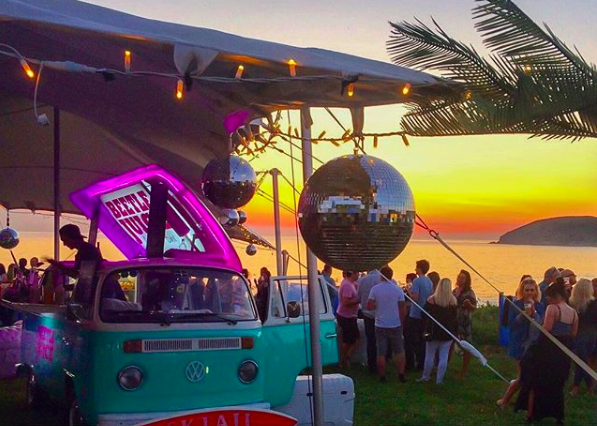 The event organiser provides us with a suitable location, we operate a cash bar and share an appropriate amount with the organiser based on the sales revenue or profit achieved. This is the best model to share the risks and rewards of the event.